Planning a New Year's resolution to get back to the gym (or maybe to get to the gym for the first time)? Here's what you need to know before you go. Call it a resolution or a reassertion, getting into the gym—or back to it—isn’t always easy. There’s figuring out what to do, how to do it, and how not to be that guy while you do. And, ya know, there’s also that real potential for injury if you don’t go about doing it safely. 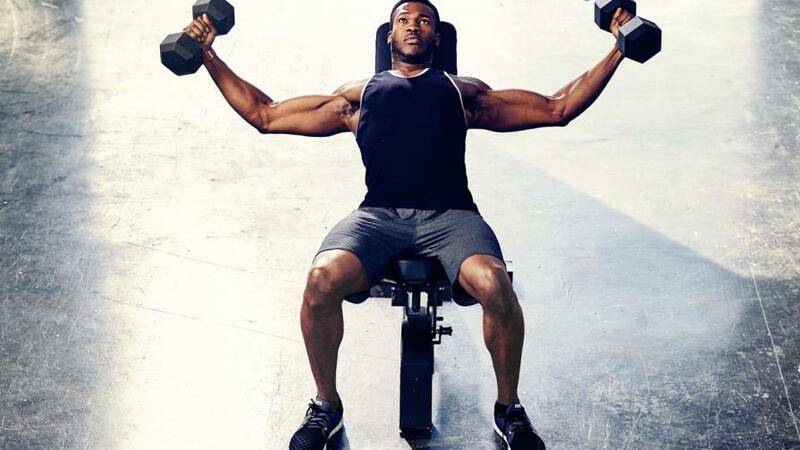 These tips from top trainers will get you mentally and physically ready for the strength-training, cardio-boosting rigors housed within those four concrete walls. HEAT Running. “Do it!” At the very least, you’ll learn a few new exercises. At the most you’ll make a (very knowledgeable) fitness pal. Just because that dude looks how you want to look doesn’t mean that what he’s doing will get you there. Newsflash: Our bodies are all different, and your goals need to be based on the realities of your genetics. What’s more, “he could be doing things that may not fit in with your current fitness level, or even things that are dangerous,” Phillips says.